Who is on the 2012 Upper Deck Football Quarterback Trade Card? 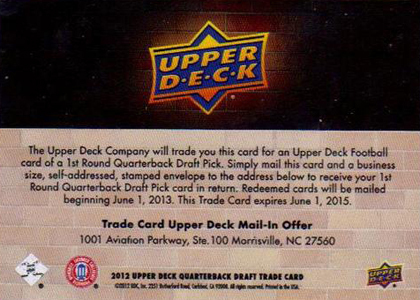 Update (7/5/13): Today, Upper Deck confirmed that the "Trade Upper Deck" card is, indeed, Andrew Luck. 2012 Upper Deck Football is proving to have a lot of different wheels for it, many of which remind collectors of the company's roots. One of them is the 2012 Upper Deck Football Quarterback Trade Card pictured below. But what about the 2012 Upper Deck Football Quarterback Trade Card? Who is lurking in the shadows? For now, it's a mystery. The card itself is somewhat vague on the back, promising the card holder a "1st Round Quarterback Draft Pick." There's no mention of a specific year, leaving more than 50 years worth of possibilities. Many are speculating that it's Andrew Luck. Because of his exclusive non-NFL deal with Press Pass, that might explain why no names are mentioned. 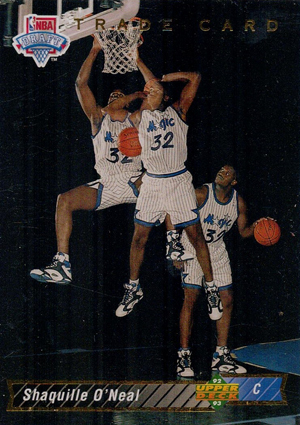 Perhaps Upper Deck found a way around the contract and are able to squeeze him in by announcing it post-draft. But then again, the collegiate licensing is also noted on the card's back, so maybe not. Another possible hint can be found toward the end of the redemption instructions, "Redeemed cards will be mailed beginning June 1, 2013." That's 13 months from now. A lot can happen in 13 months. Are collectors willing to be patient for that long, even if Upper Deck does manage to magically pull Luck out of their hat? Some might, but if huge sums are tossed around for the card, others won't be. Upper Deck hasn't given exact insertion rates for the 2012 Upper Deck Football Quarterback Trade card other than saying the basic version is "limited" in a press release. A gold version of the card, notable by gold writing on the front and slightly different text on the back, promises an autograph version of the mystery card. The same press release said the autograph redemption was "very rare." So far, a handful of the 2012 Upper Deck Football Quarterback Trade Card have been listed on eBay. Most have astronomical Buy It Now prices ranging from $324.95 up to $1,999.99 for the lone Gold version that's popped up. A couple of sellers are letting it ride with $0.99 opening bids. One card has bids over $70. In another curiosity about the card, it abandons the online redemption format. Those who pull it have to support the postal system and send it in the old-fashioned way, just like it was before Shaq starred in Kazaam. 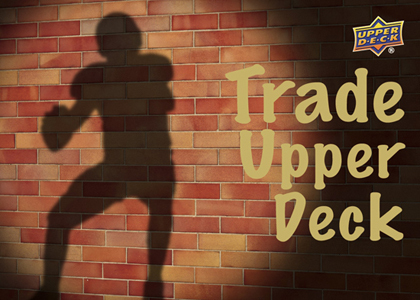 For now, the mystery of the 2012 Upper Deck Football Quarterback Trade Card remains just that. It's doubtful there will be much clarity for a while. Although the card is attracting considerable attention, is the speculation worth the high prices? The final card could go in so many directions. That's part of its charm. And its frustration. The way it's phrased, it's possible collectors could end up with a Shaq-esque Ryan Leaf triple exposure card. Or Cam Newton. Or some young stud who's going to lead his team to a New Year's victory. 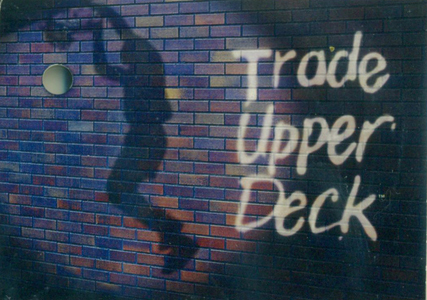 Some might even wonder if Upper Deck has all the answers themselves at this point. For collectors, though, all we have at this point are questions surrounding the 2012 Upper Deck Football Quarterback Trade Card. Keep that in mind should you decide to chase after one. Here, the mystery is part of the fun. But it should also come with a bit of precaution. June 1, 2013 Upper Deck will be long gone by that date. So it doesn’t really matter who the QB is. This is the kind of card that would be fun to have and speculate on. However, given the spotty record on redemptions that have personally experienced with UD, along with their recent shady dealings, I wouldn’t be surprised at all if this card never gets fulfilled. If it were Topps or Panini I might jump in for the ride, but I’m not even sure if Upper Deck will be around a year from now.